In the Spring of 1993, AS Roma’s Argentinean striker Claudio Caniggia was sentenced to a one year ban after a routine drugs test following a League match showed traces of Cocaine. 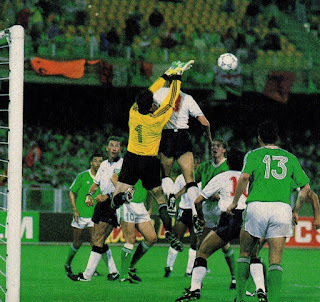 Afterwards, Diego Maradona accused the Italians of getting revenge for their loss to Argentina during the 1990 World Cup. He stated that first ‘they got him’ (1991 Drugs ban’) and now the goalscorer Caniggia. There was a conspiracy theory after the 1990 World Cup Draw was made that implied Holland and England (Both had a history of fan violence at the time) were purposefully drawn together in the Group that played at Cagliari. The Theory was that this was to get them off the mainland and concentrate them at the Island of Sardinia, that way the authorities and the police might be able to control them. 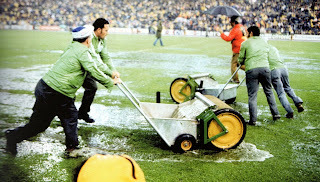 The day prior to the World Cup match ,between West Germany and Poland at Frankfurt, there had been torrential rain and the field was completely waterlogged. Under normal circumstances the match would have been postponed. The conspiracy theory is that the Germans insisted on playing on the water logged pitch since they were fearful of the Polish squad and believed stood less of a chance on a normal field. 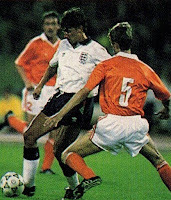 Holland seemed set to qualify for the 1984 Euros. With one match to go, Spain was two points behind with an inferior goal difference. For the final qualifier in Sevilla on December 21, 1983, Spain had to defeat Malta with a goal difference of 11 goals to advance. However, the impossible happened and Spain did just that, after leading (3-1) at halftime, they scored 9 goals in the second half. Needless to say, not only the Dutch but many other observers cried foul. 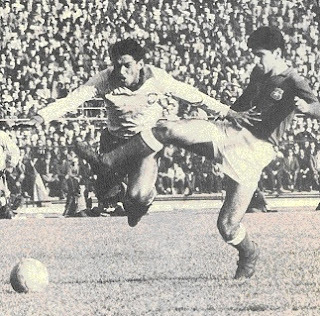 Brazilian star Garrincha had been sent off in their semifinal win over hosts Chile (June 13, 1962, World Cup, Chile 2-Brazil 4). 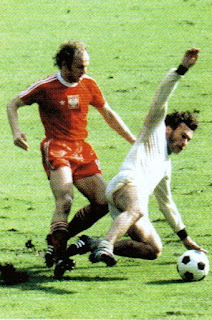 His disciplinary hearing was to take place the following day and he was in danger of being banned for the Final match. The evidence hinged upon the report of Uruguayan Assistant referee Esteban Marino. There are some who have suggested that Marino was bribed by the Brazilians to miss the hearing. As he did not appear, Garrincha was cleared to play in the Final.